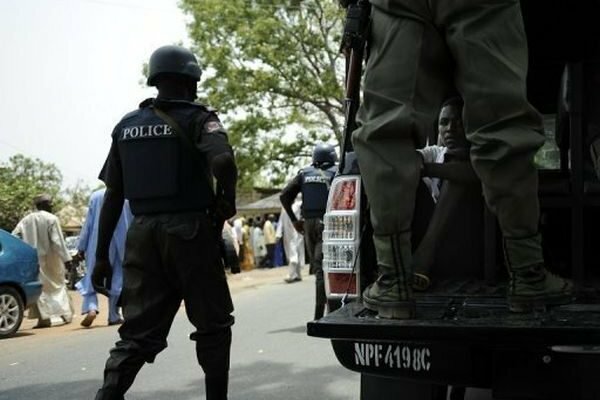 A ritualist’s den at Aagba, an agrarian town in Osun was over the weekend raided by the police, and one Isiaka Akande, a self-acclaimed herbalist arrested. The raid was prompted by the discovery of fresh human parts from an Islamic cleric, Rasidi Ajibade last week in Osogbo, and his subsequent confession that he got the human parts from Akande, who claimed to be running a traditional psychiatric centre at Aagba. After the raid, no fewer than 11 mentally challenged persons were rescued by the police. It had earlier been reported that an Islamic cleric, Ajibade was arrested with fresh head of a woman, her hands, private part and intestine at Oluode market in Osogbo, on his way to make use of the parts for ritual purpose. The herbalist, Akande, was later arrested from his hideout, and later led team of police investigators to where he buried the remains of the woman, who was later discovered to be one of the mentally challenged persons in his custody. The police, thereafter, evacuated the remaining mentally challenged persons, who were chained down in the compound to the State Criminal Investigation Department. Meanwhile, the Commissioner of Police in the state, CP Adeoye Fimihan had earlier told journalists that the police would not leave any stone unturned in its quest to get to the root of the killing. He reiterated the resolve of the police in the state to get rid of a criminal elements irrespective of their status, as he commended the police team for their vigilance and commitment to service.